Click the small '+' button on the bottom left of the accounts window. Choose Add Other Account, then Continue. The first screen simply asks for your Name, the Email Address and your Email Password for that account. Fill these in and click Sign In. 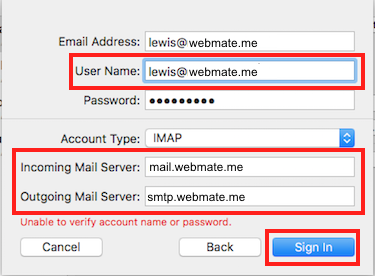 Mail will then search for mail servers briefly before stating "Unable to verify account name or password" (This is normal). The details entered into the ’Name’ box will be used as the from details in any emails sent from this account in Apple Mail. The second screen asks you for your User Name, the Account Type and both Incoming and Outgoing Mail Servers. 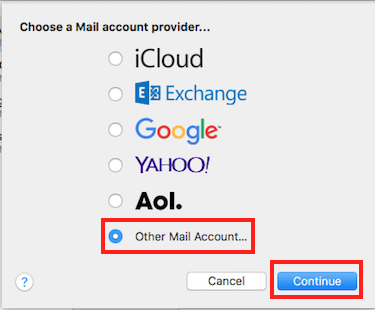 Your Account Type can be either IMAP (recommended) or POP. Once all the information is entered, click Sign In. 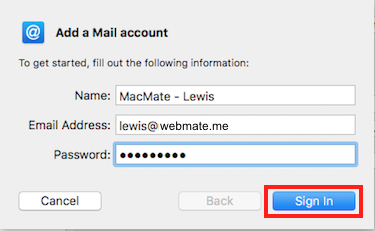 If the account was verified successfully, you will be asked What OSX Apps to use with the email account - In this case, you need to have Mail ticked. You will be able to use other email accounts if you wish. Once the Apps have been selected click Done. Congratulations - your email account has been added to Apple Mail!